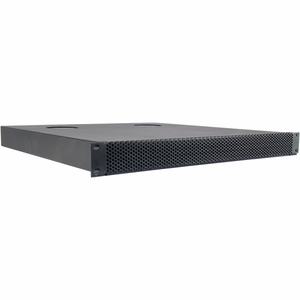 Cool-stack III is temperature-controlled, switching from a constant, very low �idle� speed, suitable for removing stand-by heat generated by components such as cable boxes and satellite receivers, to full speed as rack temperature changes. Temperature is sensed by a very small, remotely-located thermal switch which uses a strong magnet to secure itself to the component being monitored. A contact closure can also trigger the change to full speed, if desired. Internal movable jumpers can be set to satisfy the requirements of a particular installation, whether residential or commercial. In an alternate mode of operation, the constant-idle is defeated, and control is accomplished by a 12 volt trigger signal.